I am going to be starting to do a review a week on the different types of cloth diapers that I use. This week is the Swaddlebees Simplex All In one. I went to the diaper store a few weeks ago to get detergent. 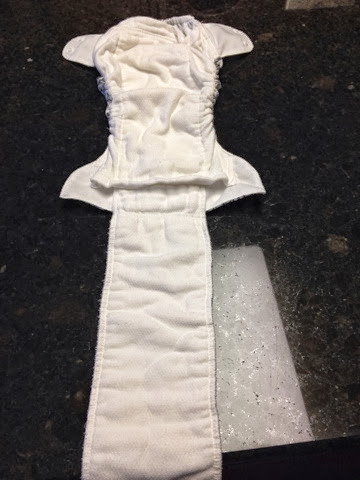 I know I could stock up and buy a couple at a time but, I like getting just one at a time so I can pick up other cloth diaper accessories to try. This time I bought a Swaddlebees Simplex One Size All in One diaper. I decided on the one size design because it has a stay dry liner if you don't stuff it and just lay the liner on the top. I am not a fan of pockets but this one has it attached so I don't have to stuff and un stuff. I really like my all in one's and was excited to try this. 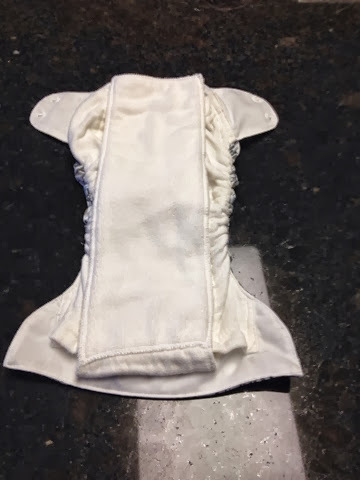 I have read about this diaper and everyone seems to really like it. I have had a chance to use it on both my 2 year old for night time and my 2 month old for daytime. Well, I have to be honest. I am not overly impressed. It is a really nice diaper but, it is pretty expensive for the quality in my opinion. Now don't get me wrong, I do like it but $26 is not cheap. I do like the fit. It isn't too bulky on Jack and fully expanded and extra stuffed with a hemp insert it fits Evelyn too. As far as absorbency goes, I haven't had any leaks. I used it for daytime as is for Jack and it was fine. He doesn't usually leak during the day. 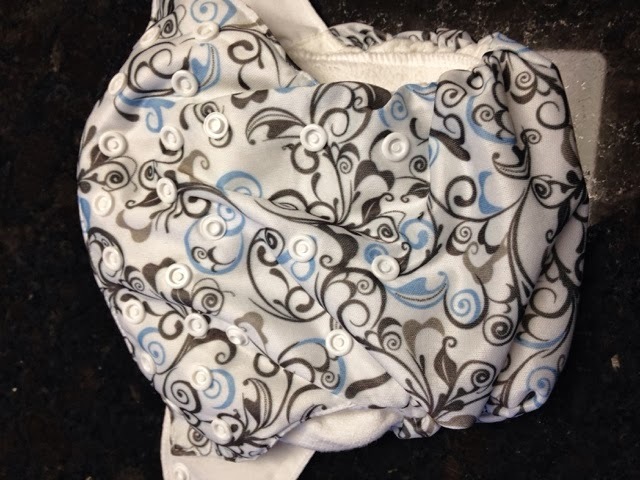 I have used it for nighttime with both littles and added a hemp insert. Neither have leaked. I have washed this diaper a dozen times and it has held up really well. No stains and the drying time isn't too bad. It takes longer to dry than my pre folds or other stay dry inserts but it is faster to dry than my Thirstie all in ones. The designs are really cute. I decided to go with the swirls because it is pretty neutral but there are some really cute prints for both boys and girls. Overall I do like this diaper but I am not sure I would convert all of my diapers to this one just yet. I like having a lot of diapers and I also enjoy using different brands but I would consider having more than a couple in my rotation.